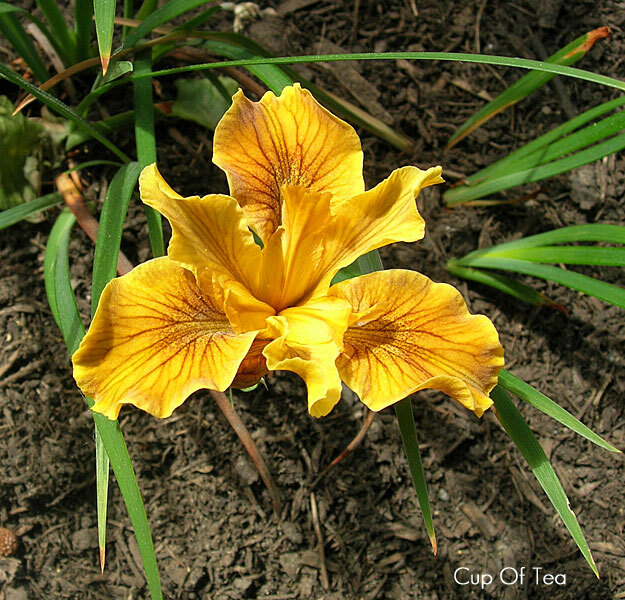 'Cup of Tea' (Joseph Ghio, R. 1987) Seedling #PM-241M. CA, 8" (20 cm). Very early bloom. Ocher self. 'Going West' X 'San Tomas'. Bay View Gardens, Longview Gardens 1988.